One of our most famous strains is Northern Lights Auto Flowering. This 8 week compact, fast and very dense strain is a favourite amongst many. With frosted buds possess a honey-musk aroma blended with an earthy Afghan undertone. Low odor and easy to grow this strain is a favorite for both connoisseur quality and commercial quantity. 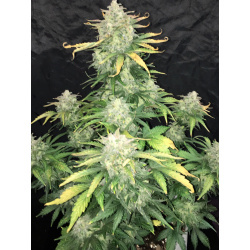 Northern Lights is so easy to grow that's why she is well loved by a lot of growers. Not just that, it is also very potent with the THC level of 15% +. In just 8 weeks, you will have a rich, potent, mostly Indica smoke with a pleasant layer of frosty and lushy honey-musk aroma that would make you feel good.